President Donald Trump has announced plans to nominate Kevin Fahey, vice president of combat vehicles and armaments at Cypress International, as assistant secretary of defense for acquisition, the White House reported Wednesday. Fahey joined Cypress in January 2016 and since then has overseen several focus areas at the Alexandria, Virginia-based consulting services firm that include acquisition and program management; ground combat and related support systems for the Defense Department; cyber; and Army portfolio. 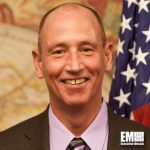 Prior to Cypress, he previously worked at the office of the assistant secretary of the Army for acquisition, logistics and technology as executive director of systems engineering and integration. He also held program executive roles for combat support, ammunition and ground combat systems in the U.S. Army. Fahey is a recipient of numerous awards such as the Presidential Distinguished Rank Award and the Superior Civilian Service Award.